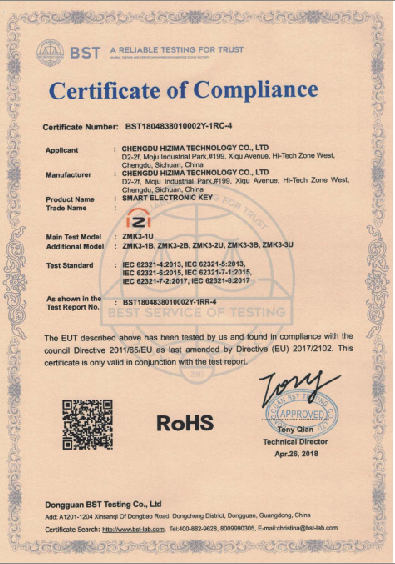 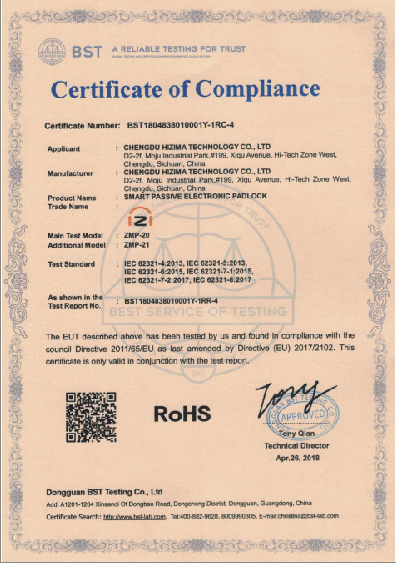 Chengdu Hizima Technology Co.,Ltd, founded in 2014, dedicates itself to accelerating security and controllig access by providing solutions detailed to smart locking systems. 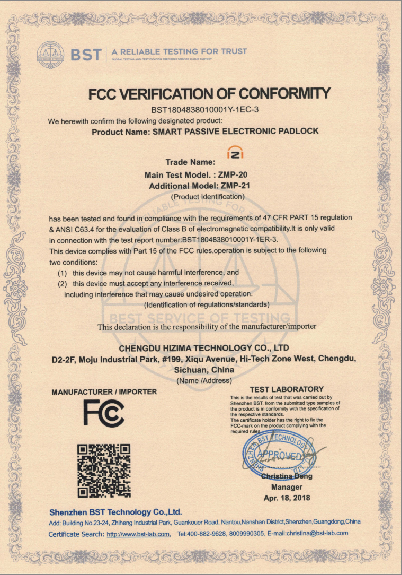 From a top-notch research and development team to the end users, Hizima integrates its supply chain to cover areas such as mechanism, electricity, and telecommunication in order to better leverage software technology and data encryption.It’s service-driven solutions and utmost to quality make Hizima one of the few counted passive smart locking manufacturers over the world. 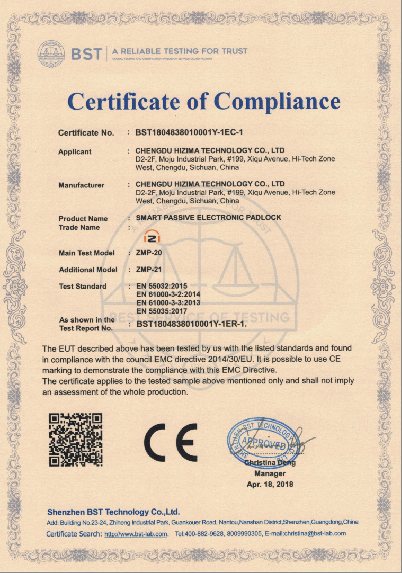 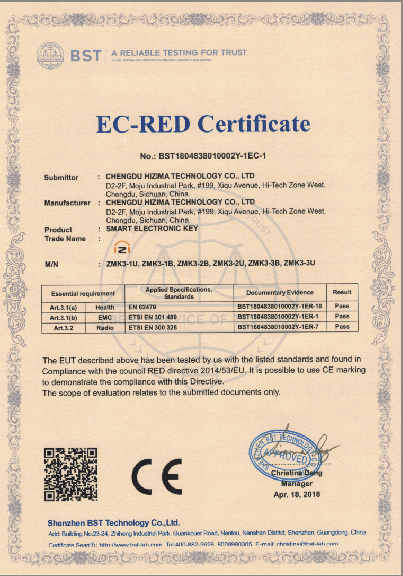 Hizima Technology Co. Ltd. possesses completed intellectual property rights, enjoying 28 patents. 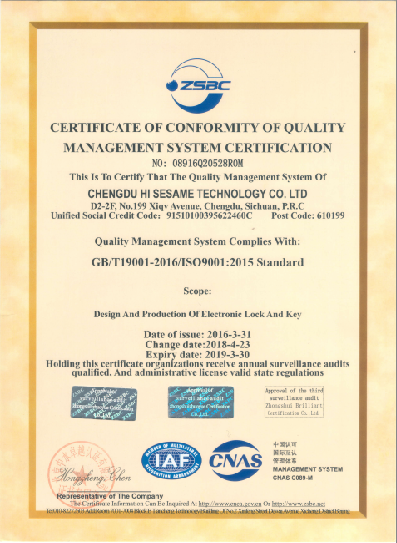 ISO 9001 and CMMI3 authentication are passed as well. 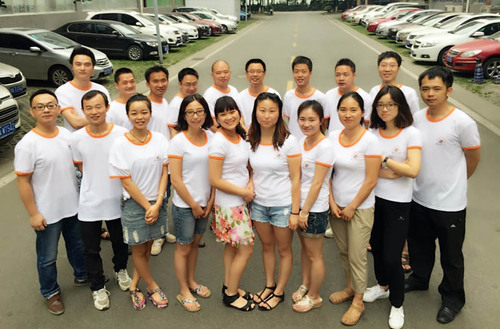 Hizima’s mission is to unlock a completely new work mode by using Hizima technology.